If you’re a man and hear the phrase “cosmetic surgery,” your first inclination may be to think, “That’s for women; that’s not for me.” But this line of thinking couldn’t be further from the truth. 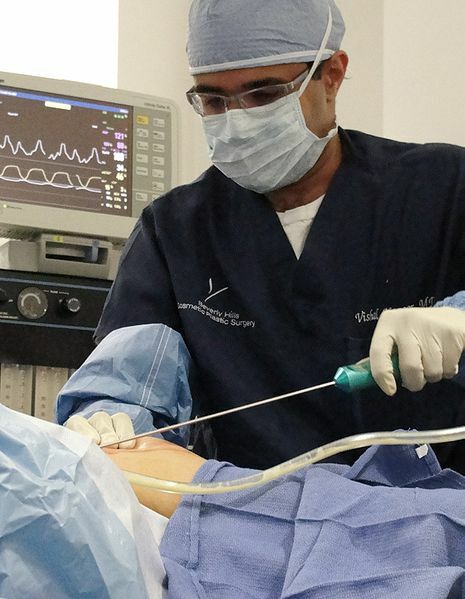 A number of men have been so displeased with their bodies that they decided to undergo cosmetic surgery — specifically, advanced laser liposuction treatment. Companies such as Sono Bello, which explains this particular treatment on its website, continue to help both men and women to regain their confidence by reclaiming the bodies of their youth. A man who recently underwent liposuction is 44-year-old Jerry. Jerry said his busy schedule kept him from exercising for many years. As a result, a gut emerged — you know, the type that has become all too familiar among middle-aged men. Jerry felt particularly sub-conscious about his gut, especially when his daughter decided to pat it while sitting on his lap. Even the beach — a place that is supposed to be fun — was no fun for Jerry, as he was too worried about his appearance to remove his shirt. Now, let’s fast-forward to the first day following Jerry’s liposuction treatment. If you talked to Jerry, he would quickly tell you that this was the best day of his life. He immediately noticed a change in his body. In fact, his wife simply could not believe how much her husband’s appearance had transformed. Jerry now feels confident enough to remove his shirt at the pool or beach, and his daughter even tells him that all of his fat has disappeared. If you’re ready to watch your fat melt away, too, you apparently can’t go wrong with laser liposuction. It may be worth trying today so that you can have the perfect beach body tomorrow and for many summers to come.